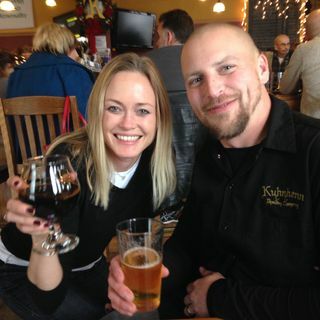 John Gonzalez and Amy Sherman are co-hosts of "Behind the Mitten," a podcast about Michigan beer, food, festivals and the people who make it all happen! Today's episode finds Amy and John recording portions of the show at Grand Coney in Grand Rapids. They also play segments recorded at Kuhnhenn Brewery in Warren where they talk to Jon Pienpenbrok about the popular Winter Solstice Party on Dec. 19-20 (Listen at 5:03) and at Slows Bar BQ where they talk to Rochester Mills Beer Co. ... Maggiori informazioni president Mike Plesz about the 12 Days of Milkshake Stout (Listen at 22:52). John travels to Hopcat in East Lansing to talk to Paul Starr of I'm a Beer Hound, who runs down this weekend's events, including the Dec. 17 Joe Short Birthday Party at Hopcat Grand Rapids. (Listen at the 36:37 mark).